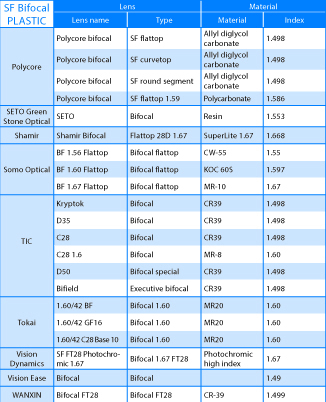 MAFO will give you a short overview of the semi-finished (sf) lens market; in this survey especially the suppliers of sf bifocal lenses. 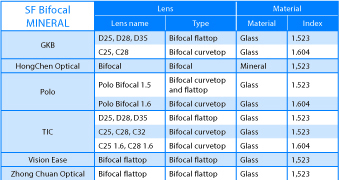 In the printed version you will find a list of suppliers of sf bifocal lenses and the lenses they offer. In the online version you will find more details, provided by the suppliers and manufacturers of the lenses. For further details please contact the companies via their web sites.